Review by Meagan Whitney. Photos by Emilia Paré. 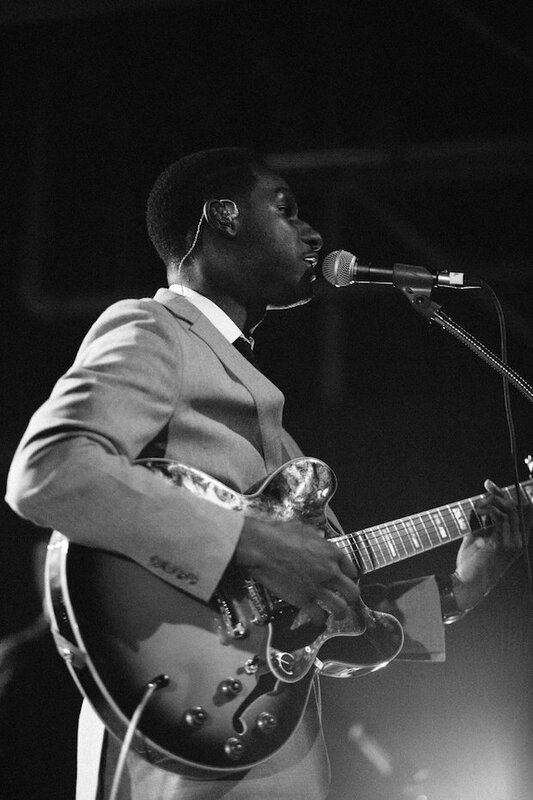 Leon Bridges already announced a return to Nashville, March 2 at The Ryman, for which tickets are almost gone. While shows at the Ryman are always special, reverent experiences, the sold out show that Bridges played at Marathon Music Work last week was something that will probably be altogether different in the memories of those who were lucky enough to attend. People were packed into the venue, everyone angling for a spot right in the front. Starting the show was Kali Uchis, a throwback, ‘60s inspired songstress, whose husky vocals were layered atop more modern sounding R&B. And then Bridges took the stage and had couples dancing and toes tapping from the very beginning. Read the full review and check out some amazing photos from Emilia Paré after the jump. 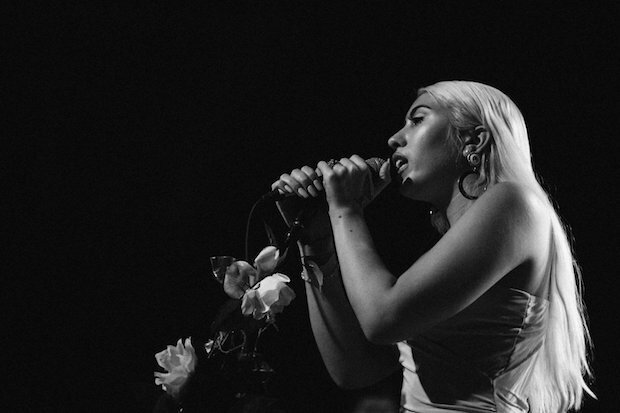 If you closed your eyes, Kali Uchis, the Columbian-via-Virginia singer who opened for Bridges, sounded a lot like Amy Winehouse. With a voice that could go from sweet to husky, Uchis’ retro, R&B sound was kind of entrancing. While your very first thought might have been that her sound was almost too similiar to Winehouse’s, with each song the audience seemed to grow to like her more and more. While Uchis may have seemed a little out of place on stage (it was only her second night of the Leon Bridges tour), when she started singing, her raw talent was undeniable. Uchis was a great surprise as an opener for Bridges and someone that lots of people in the audience were sure to be Googling on their way home. Kali Uchis. Photo by Emilia Paré. 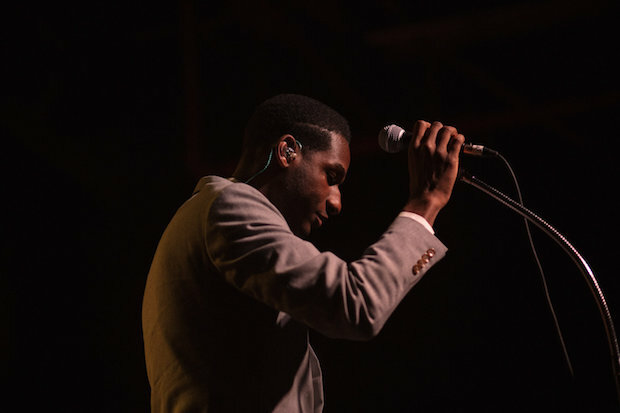 If there’s one word that could be used to describe Leon Bridges’ performance at Marathon, it might be polished. On stage, the talented singer seems like he’s been practicing for his shows his whole life. There can be no arguing that Bridges comes across as a complete professional, nor that he’s incredibly talented, a young man with the ability to conjure up songs that seemed to have been written decades before he was even born and the rare ability to transport an audience not only through time, but to a place where they feel carefree, where they’re more interested in the every snap of Leon’s fingers, flick of his wrists, and incantation of his words, than with checking their phones for new texts, emails, or Snapchat notifications. 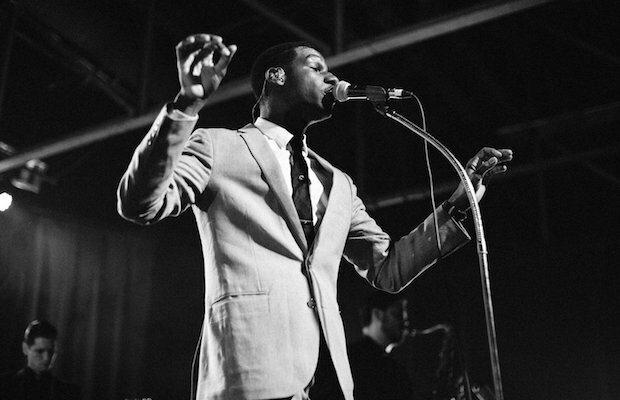 Leon Bridges. Photo by Emilia Paré. His stage show comes close to perfection; his notes are perfect, the dancing almost choreographed in between vocals, his style nearly a carbon copy of what one imagines when they think of a late ‘50s or early ‘60s soul singer. And none of this is inherently bad. In fact, it’s exactly what makes Bridges so great. But as couples danced around the edges of an audience that was ripe with energy at Marathon, it was easy to feel like something was missing. Bridges seems to be on the cusp of discovering his power as a performer: he’s aware that audiences hang on his every move, but, so far, his moves could be seen as channeling some other soul singers, a derivation of greats that came before him. His songs are great, his onstage persona impeccable. With another album already in the works, as well as more touring ahead, it’s likely that we’ll start to see Bridges taking all his great influences and using them to create a sound that becomes more and more his own. This is not to say that we weren’t completely impressed with Bridges’ latest Nashville outing, because we were. Only that Bridges, having just released his debut album in June, is still at the very beginning of his career, and we’re looking forward to watching his talent continue to develop. In the meantime, we’ll gladly enjoy the talented performers’ shows for what they are: nostalgic, time-stopping, perfect effigies to a time in music that many of us were not there to enjoy in its heyday, brought back to life with the utmost sincerity. SXSW Announces Another Wave With Even More Nashville Bands!